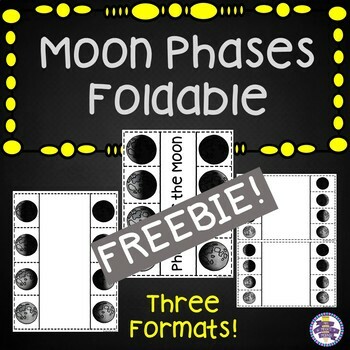 Are you looking for a nice and simple foldable to use along with your lesson on moon phases? This product gives you just that, in three different formats! All three formats include pictures and names of the moon phases. No other information is given, leaving plenty of room for you to add your own notes! If you download, please consider giving me feedback to help improve my products! Thank you for considering this freebie.